Out Democratic candidate Angie Craig on Tuesday unseated Minnesota Representative Jason Lewis, a former conservative radio host and an opponent of LGBT rights. Craig and her wife, Cheryl Greene, are raising four children, which makes Craig the first lesbian mother to be elected to Congress. Lewis scored zero on the Human Rights Campaign's (HRC) latest Congressional Scorecard, a measure of a lawmaker's support for LGBT rights. As a radio host, Lewis supported laws and constitutional amendments that excluded gay and lesbian couples from marriage. In 2013, he said that LGBT rights activists were “shredding the Constitution,” according to BuzzFeed News. 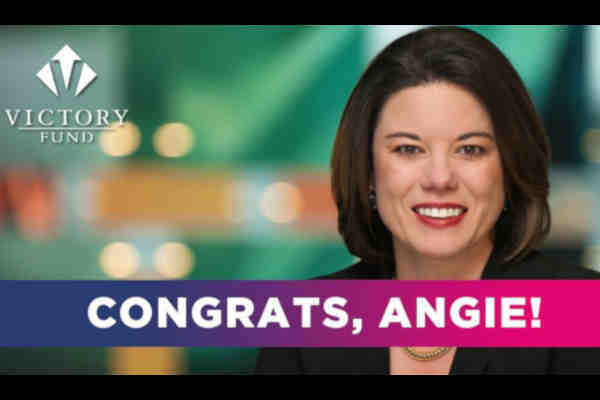 “Angie will bring a unique and important perspective as the only openly LGBTQ mother in congress, and her presence will humanize our lives and families for her congressional colleagues,” Annise Parker, CEO of the LGBTQ Victory Fund, said in a statement. This was Craig's second attempt at running for the seat. In 2016, Craig lost to Lewis by fewer than 7,000 votes.